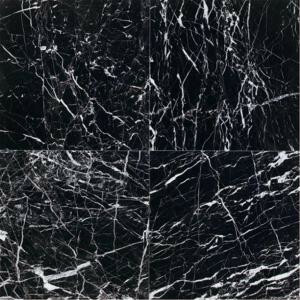 China Black Polished Marble Tile exhibits exceptional color and movement through its natural striations and veining to give your space a high-end look. It’s a fabulous choice for medium-duty interior expanses and has the versatility to be used in exterior walled applications, certain to enrich any residential or commercial setting. This 12 in. x 12 in. wall and floor tile has intrinsic marble qualities that appeal to both contemporary and classic tastes, offering diverse options for accents that include glass and metal accompaniments. Put this exquisite marble tile into play for upscale appointments to fireplace facades, bathroom surfaces, countertops, home offices and more. Buy online Daltile Natural Stone Collection China Black-Polished 12 in. x 12 in. Marble Floor and Wall Tile (10 sq. ft. / case) M75112121L, leave review and share Your friends.